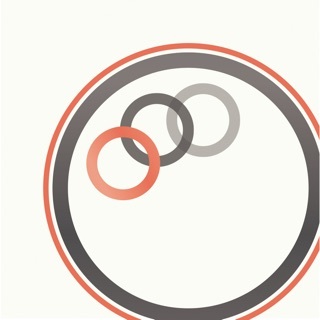 In Japan, Touch Notation was selected as one of the ‘App Store Best of 2014’ apps, and held the No.1 spot in the iPad Paid App index for music apps for over two weeks. 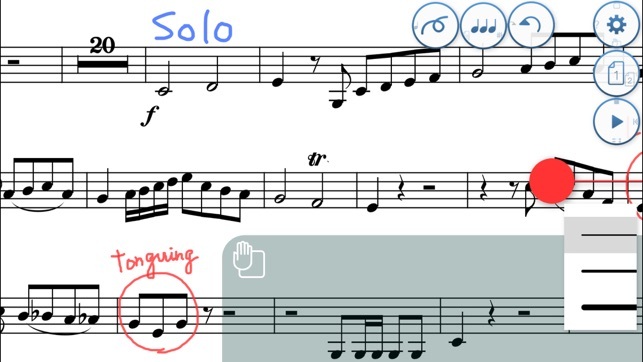 Touch Notation is available in free and full versions, allowing musicians to experience most of the app’s features at no cost. 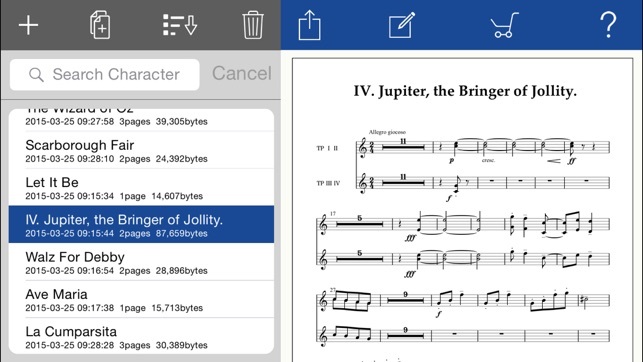 Up until now, musical score creation software has relied upon dragging individual notes from a palette onto staves. 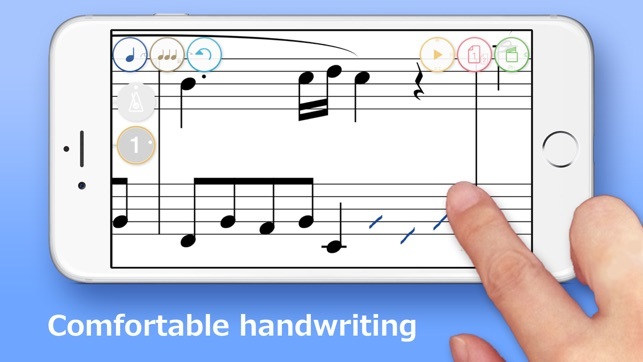 By contrast, Touch Notation allows musicians to draw directly onto the score using a finger or touch pen, and have their work immediately appear as beautifully written notation, then played back using the app’s 30 built-in instrument voices. -	A wide-range of functions accessible from a cleanly designed, intuitive user interface. -	Ability to enter musical expressions for adjusting tempo and dynamics. 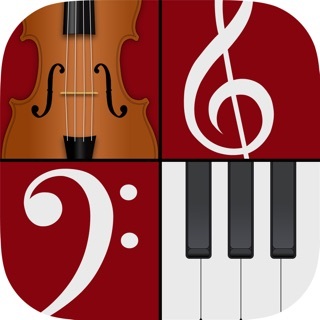 -	Convenient transpose feature for raising/lowering the pitch of the entire score. 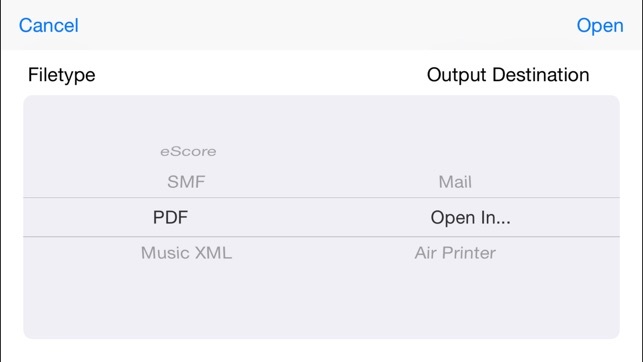 -	Output scores using Air Print, or save to Dropbox in PDF, SMF, MusicXML, and ScoreMaker formats. Other musical expressions (‘Dolce’, ‘Tranquillo’, etc.) 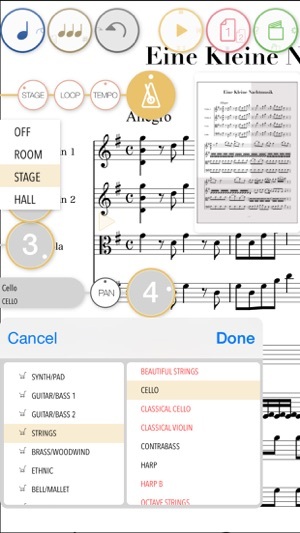 can be added using text input, while comments and memos can also be written freehand directly onto the score. * Entering rhythm notation, tab notation etc. is not supported. * Older devices may experience stuttering when playing complicated scores with many simultaneous notes. 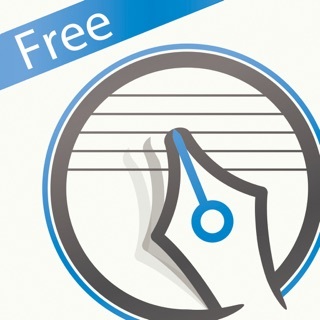 Users are recommended to test the free version of Touch Notation in order to assess the app’s performance on their device. - Added support for entering and editing drum notation. - Added 5 new score templates that include drum percussion. - Added support for entering grace notes. - Added support for writing abbreviation symbols. Great copy and paste for whole bars or sections speeds up work incredibly. Just lasso the section and click copy. Put you finger down, slide it around and paste it where you want it. Very accurate. I have one important suggestion. 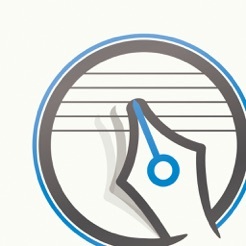 They should add a white ink color to the pen input so that you can the erase or clean up other “ hand written” entries that you might have put in before. I use this trick in ForScore all the time. EXPORT FAILS - by any method. What kind of notating software allows one to use an SATB template but not enter lyrics? I’ve paid for the whole package, and no lyrics? Massive shortcoming. 1. Cannot search the help utility by keyword. Many sub-level menu items hidden under parent items but not listed in tree form in the table of contents. 2. Cannot export Midi ‘parts’. 3. Cannot export mp3 renderings of Midi. 4. Cannot specify beginning measure number. 5. Copy and paste an expression - THEN BE ABLE TO EDIT THE EXPRESSION, else have to create new every time and unify format, say, if one is creating measure numbers because program lacks item 4 above. 6. Do NOT link song listing to Title property. If I wish to maintain several revisions, I should not have to edit the Title in order to tell the difference between versions. The handwriting features don’t work as well as the videos show. It takes multiple tries to get any note to show correctly. The scores are hard to edit, and the gestures to edit things don’t even work. You can’t get a refund on this, so I don’t recommend buying it!!! It does not work well. 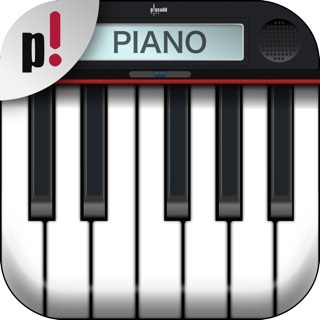 I was hoping to have an easy tool to compose music, but it’s more trouble than it’s worth.